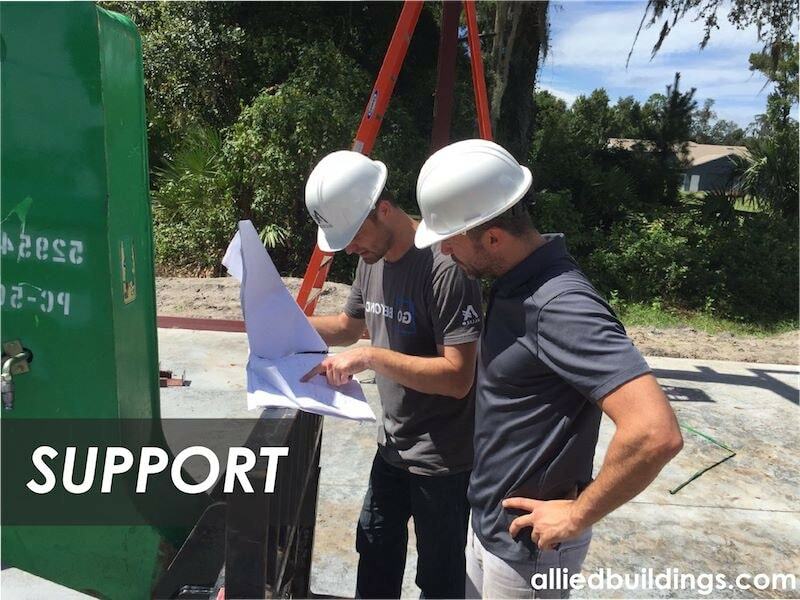 Allied provides services that support the steel erection phase of your projects. We understand that good execution during construction begins with solid planning and collaboration. With over 6400 buildings worldwide, we have the experience to support your installation teams – from initial planning consultation to assessing field solutions – we are with you all the way. Erector Orientations – Custom tailored to the erector’s experience, these orientations provide information on the building systems and products, best practices on installing them, and tips for efficiency. Staging and Phasing Consultations – With particular site and project considerations in mind, including logistics, an overview consultation from our experienced team. General Compliance Inspections – On site inspection of primary and secondary structural steel members, along with claddings, to ensure good installation practice and conformance to the structural framing construction drawings.